Excellent, Well displayed store prompt friendly greeting. 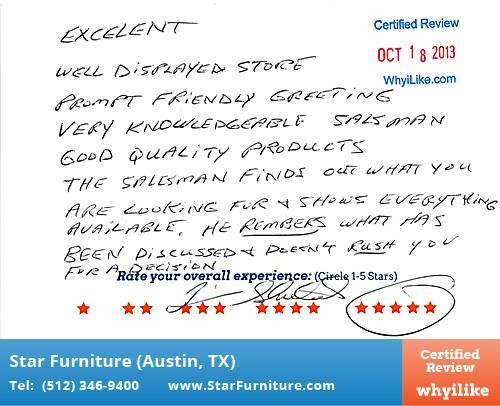 Very knowledgeable salesman, good quality products. The salesman finds out what you are looking for and shows everything available. He remembers what has been discussed and doesn't rush you for a decision. Excelent, Well displayed store prompt friendly greeting. Very knowledgeable salesman, good quality products. The salesman finds out what you are looking for and shows everything available. He remembers what has been discussed and doesn’t rush you for a decision.